This graveyard, one of the oldest in the state, was purchased from Captain Jonathan Blunt for 70 English pounds in 1751. 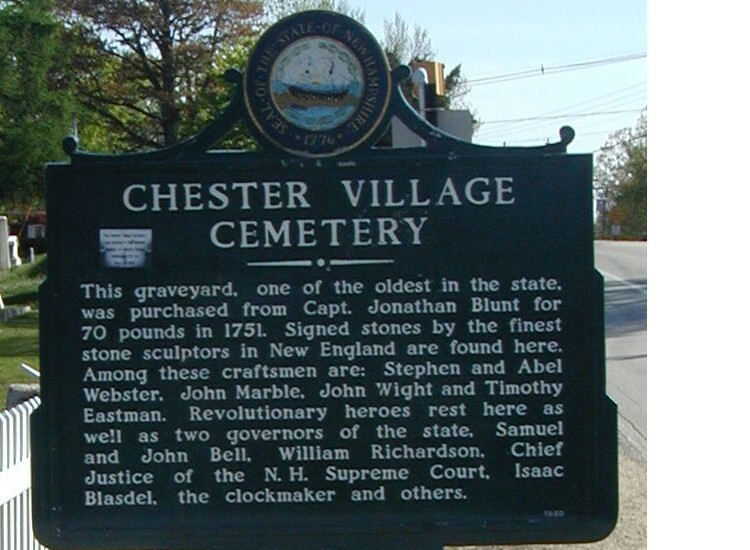 Signed stones by the finest stone sculptors in New England are found here. Among these craftsmen are Stephen and Abel Webster, John Marble, John Wight and Timothy Eastman. Revolutionary heroes rest here as well as two governors of the state, Samuel and John Bell, William Richardson, Chief Justice of the N.H. Supreme Court, Isaac Blasdell the clockmaker and others.